I hope you all spent the past few days indulging in ridiculous amounts of chocolate eggs, hot cross buns and tasty roast lamb. If not, don’t worry, you still have one day left to catch up;-). And congratulations to everyone who successfully completed Lent yesterday – now go and do or eat whatever you have been painfully missing out on these past 46 days! This year’s Easter has been, apart from spending some of the days surrounded by IV-drips, syringes and wounds, all dressed up in scrubs (yes – some people actually have to work on bank holidays), an unhealthy brunch crawl for me. Nothing wrong with brunching 4 days in a row is there? 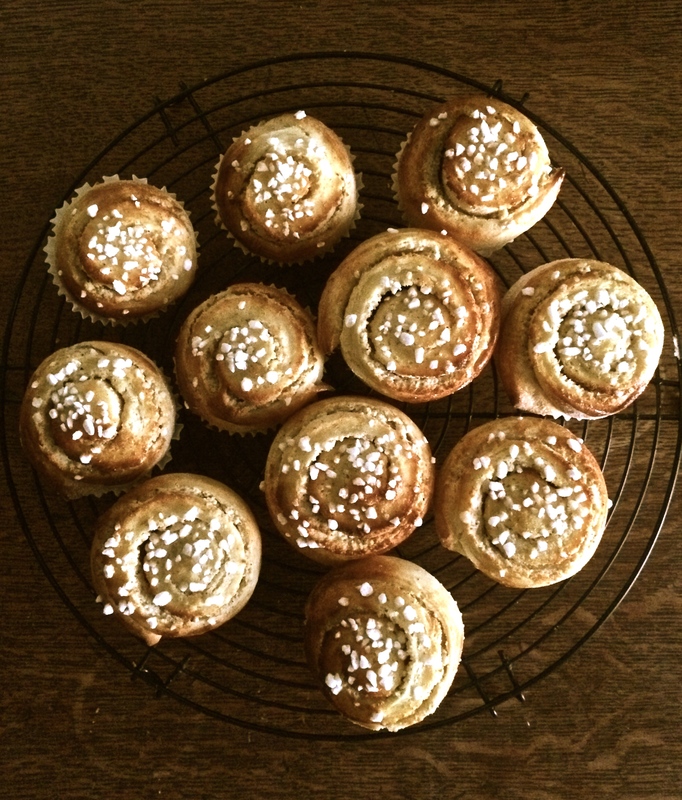 For the final brunch of the lot I decided to bake something slightly different than your usual, with a Scandinavian touch – Cardamom Rolls. NOM! As I already mentioned in a previous post – Cardamom is the new Cinnamon. If I haven’t won you over yet, I’m sure baking these will. I’m also sure half of you have been invited to yet another an Easter brunch for today, said they would bring something and popped into M&S for some hot cross buns. If so – tut tut tut – freeze your bought buns and make these! Everyone will love them! !